Only 4% of the UK gives blood regularly. We came up with a way to incentivise repeat donations: an automated system that gives you real-time updates on your blood, so you know where it goes and when you've helped save a life. At least Sweden gets it. Former Creative Circle president Dave Waters chose this as his favourite winner in the 10-year history of the awards. "I loved the Windolene mime guy in a glass box; I loved it when I first saw it and I still remembered it months later. 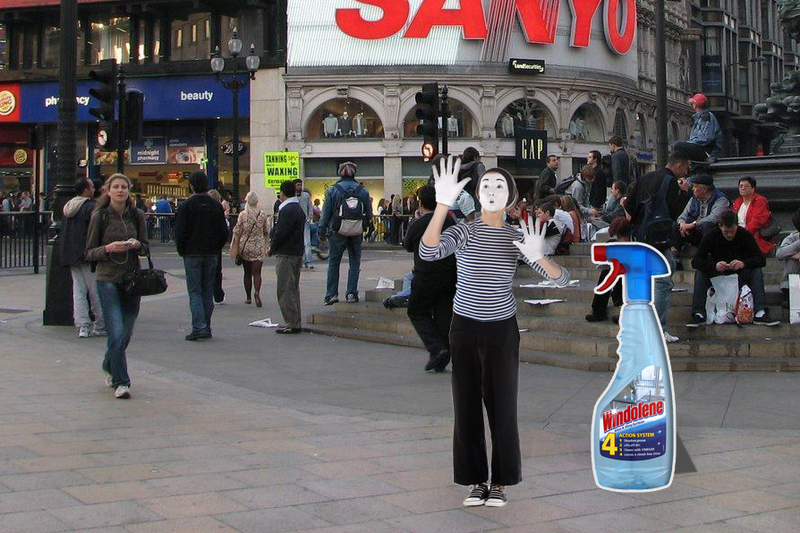 I assume the idea is to have the mime actually performing in various urban spaces with a large bottle there. You would just have to stop and watch, wouldn't you? I think it could have won many awards if it had run, but this is the only place I've seen it. Very clever." The Four Word Film Review is a website where users have written over 398,000 witty reviews of films in four words or less. Matt is one of the top-voted contributors, with many of his reviews being included in a book, published internationally. Get it from Amazon. At the 2012 Academy Awards, Angelina Jolie became an instant meme when she spent all evening sticking one leg out of her dress. So we created a Tumblr of movie posters 'feeturing' her leg, complete with ridiculous title puns. Feast your thighs on the Tumblr.